We’ve all met that couple. You know the one where individualism seems to be a concept that’s easily discarded because the deep connection shared between them is so real, that it’s almost like they’re one with each other. Many of us find that couple annoying because we think they’re obnoxious and unbearably smug, and it often feels like they flaunt their bubble of “we-dom” in everyone else’s faces. But it turns out that, the way they refer to themselves within the confines of a relationship doesn’t necessarily mean that they’re out to brag, nor does it mean they’ve lost their sense of self. They just have a solid, healthy and happy connection. And a new study confirms this. READ MORE: Hugs and kisses? Or chocolates and flowers? What's your partner's love language? Bustle.com reports that a recent study from the University of California Riverside reveals that couples who use “we” have more successful relationships. 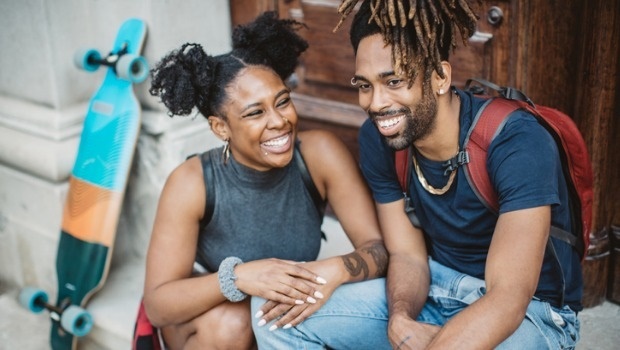 When it comes to coupledom and relationships in general, we’re all familiar with the fact that language – verbal and body often reveals a lot. And the way you use pronouns can determine whether the relationship you’re in is one that Psychology Today refers to as healthy interdependence or one that’s rooted in negativity and self-absorption. In other words, couples who use “we” are inclusive of each other’s needs and are better at managing and resolving conflict. The main components of the survey involved researchers looking at the following to gauge their results: relationship outcomes (including length and duration of relationship), behaviours, mental and physical health as well as personal well-being and how well the participants take care of themselves in relations to the relationships. California Riverside psychologist, Megan Robbins, who conducted the research (which also tied in with her past research about the power of relationship and interpersonal pronouns, according to Science Daily), revealed that in each of these components the benefits of we-talk clearly showed that it has a positive impact on the couple’s relationship. Alexander Karan, one of the authors of the study notes that being able to look at these various pillars cements the fact that couples who use we-talk thrive in more than one area of their relationship. What’s more is that a further indication of a healthy relationship shows even more when your partner is the one who actually uses “we speak” – especially when you’re not present. So, perhaps it’s time to revise our opinion and hold off on being so annoyed by these happily loved up couples? After all solid, happy relationships are already so hard to find.